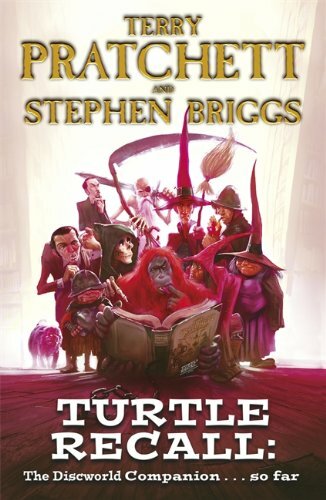 The one and only official guide to all things Discworld including, but not limited to: What to do when approached by a hermit elephant Where to get a beer in Ankh-Morpork* How to play Cripple Mr Onion * and live to tell about it. The Discworld, as everyone knows, is a flat world balanced on the backs of four elephants which, in turn, stand on the shell of the giant star turtle, the Great A'Tuin, as it slowly swims through space. It is also a global publishing phenomenon with sales of over 70 million books worldwide (but who's counting?). The publication of SNUFF brought the Discworld canon to 39 books - not including the various guides, mapps, diaries and other side-projects. That's a lot of Discworld to keep track of - more than most people can manage with just the one head - but fear not: help is at hand! If you're looking for the ultimate authority on probably the most heavily populated - certainly the most hilarious - setting in fantasy literature... If you need a handy guide to Discworld locales from Ankh-Morpork to Zemphis... If you want help telling Achmed the Mad from Jack Zweiblumen... If your life depends on being able to distinguish the Agatean Empire from the Zoons... ...look no further than THE COMPLETE DISCWORLD COMPANION - now fully updated and completely up to SNUFF!